Nearly 7,000 Victorian households have installed solar panels since the Andrews Labor Government’s Solar Homes package was launched in late August last year, amounting to more than $3.4 million in rebates. Minister for Solar Homes Lily D’Ambrosio said around 1,600 households had already received a.. The Andrews Labor Government is empowering regional Victorians to prepare for and adapt to the real impacts of climate change through a new community grants program. Minister for Energy, Environment and Climate Change Lily D’Ambrosio today launched the $1 million Community Climate Change Adaptation (3CA).. The Andrews Labor Government’s Solar Homes program is driving down energy bills, creating new jobs and boosting local industry in the Latrobe Valley. Minister for Solar Homes Lily D’Ambrosio visited local business Gippsland Solar in Traralgon today to see first-hand the difference the rebates program.. The Andrews Labor Government is continuing to invest in new energy technology and skills in the Latrobe Valley, with four more businesses receiving funding to undertake new energy projects. Minister for Energy Lily D’Ambrosio visited Morwell today to announce the local organisations that will share.. The Andrews Labor Government is delivering another major infrastructure boost for Victoria’s recycling sector that will create 155 jobs across Victoria and divert more than 350,000 tonnes of waste from landfill each year. 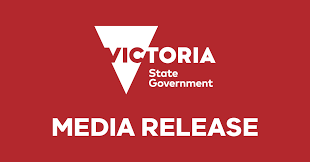 Minister for Environment Lily D’Ambrosio today announced $4.8 million for 20 recycling..
A dangerous tyre stockpile in Numurkah will be removed, with the Andrews Labor Government stepping in to protect the local community. Minister for Environment Lily D’Ambrosio today called a community meeting in Numurkah to announce funding to clear up the stockpile on privately-owned land, where.. The Andrews Labor Government will force the big power companies to give Victorians a better deal on their power bills by legislating a new default offer that will cut the cost of energy for households across the state. The Labor Government will abolish standing energy.. The Andrews Labor Government will fund more of Australia’s fastest electric vehicle ultra-rapid charging stations, with five more to be built across Victoria. Minister for Energy Lily D’Ambrosio made the announcement today while opening Australia’s first ultra-rapid electric vehicle charging site at Euroa, with another.. The first of two large scale batteries that will support Victoria’s energy grid has been unveiled in Ballarat. Minister for Energy Lily D’Ambrosio today opened the Ballarat Energy Storage System (BESS), located at the Ballarat Terminal Station in Warrenheip. The BESS is a state of.. The Andrews Labor Government has released the final Plenty Gorge Park Master Plan, along with an $800,000 investment to upgrade the Hawkstowe Picnic Area. Minister for Environment and Member for Mill Park Lily D’Ambrosio today launched the plan, which will strengthen access and connections throughout.. The Andrews Labor Government is working with Dja Dja Wurrung Traditional Owners to jointly manage six parks in Loddon Mallee, under Victoria’s second Joint Management Plan. Minister for Environment Lily D’Ambrosio joined the Dja Dja Wurrung Clans Aboriginal Corporation and the Dhelkunya Dja Land Management.. The Andrews Labor Government has unveiled a landmark plan to protect the Great Ocean Road coast and its parks for generations to come. Minister for Environment Lily D’Ambrosio joined Minister for Tourism John Eren, Chair of Eastern Maar Aboriginal Corporation Jason Mifsud and Wadawurrung Geelong..
Yume Food has won the Premier’s Recognition Award at the Victorian Premier’s Sustainability Awards for developing an online marketplace for quality surplus food. Minister for Environment Lily D’Ambrosio presented the award to Yume Food at a ceremony in Melbourne last night for its work connecting.. The Andrews Labor Government has unveiled new designs for tourist facilities along the Shipwreck Coast, improving experiences for the growing number of visitors to the region. Minister for Environment Lily D’Ambrosio revealed designs today for infrastructure projects at Twelve Apostles’ Saddle Lookout, the Port Campbell..
Two new wind farm developments supported by the Andrews Labor Government’s Victorian Renewable Energy Targets (VRET) reverse auction are delivering new industries and jobs for Geelong. Minister for Energy Lily D’Ambrosio was in Geelong to announce the development of the Vestas Renewable Energy Hub (VREH).. The Andrews Labor Government has released a new plan to protect the former Alcoa coal mine and power station site in Anglesea from Matthew Guy and his push to turn Victoria’s Surf Coast into the Gold Coast. Minister for Environment Lily D’Ambrosio today released a.. The Andrews Labor Government is ensuring injured wildlife get the help they need, with a new online help tool and more than $171,000 in funding for rehabilitators. Minister for Environment Lily D’Ambrosio today launched Help for Injured Wildlife, a new tool that connects Victorians with.. The Andrews Labor Government will help develop Australia’s fastest electric vehicle charging stations in regional Victoria, using local expertise and businesses. Minister for Energy Lily D’Ambrosio today announced Australian business Chargefox will receive $1 million to develop Australia’s first ultra-rapid vehicle charging sites in Euroa..